1. 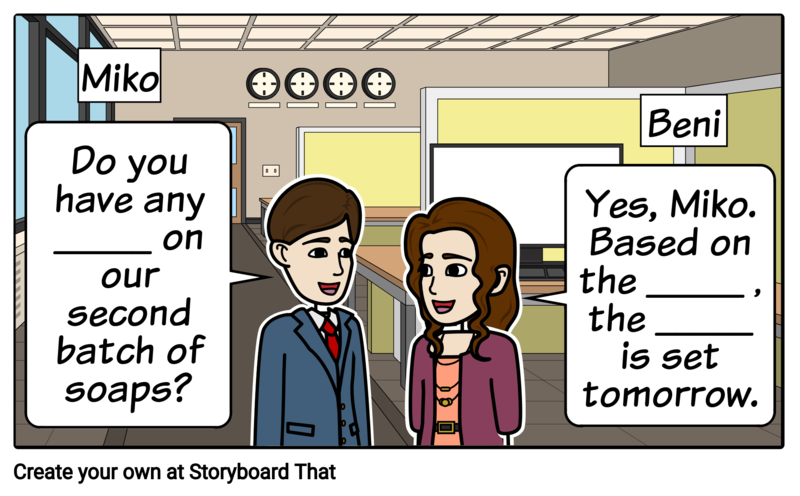 Do you always stay updated at work/school? Yes or no? 2. What do you do to stay updated at work/school? 3. Was there a time when you forgot to update your project/s or tasks? Let’s read the dialogue. I will be Beni and you will be Miko. After reading it once, we’ll switch roles. 1. What is Beni and Miko’s company selling? 2. When should Beni update Miko? 3. 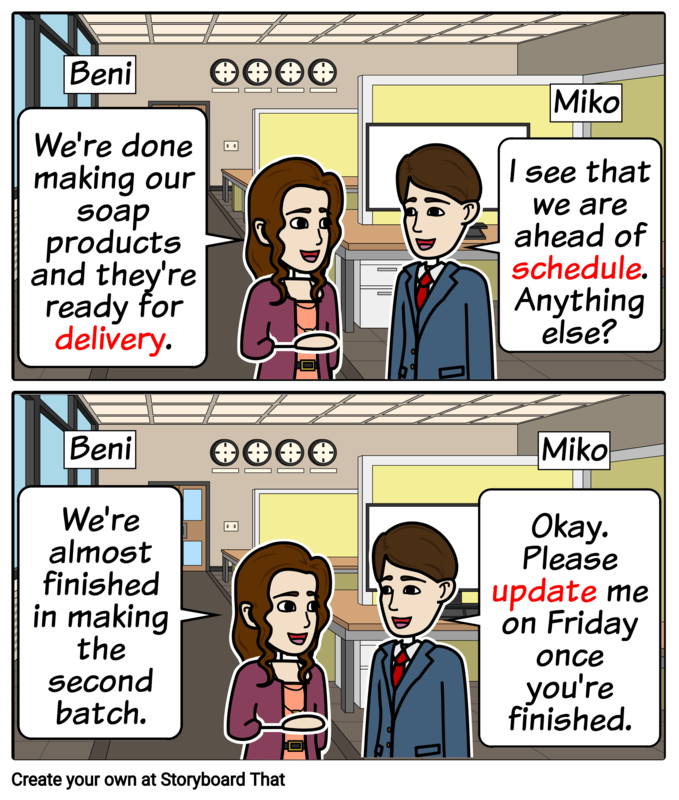 Can Beni finish the second batch of their soap products?